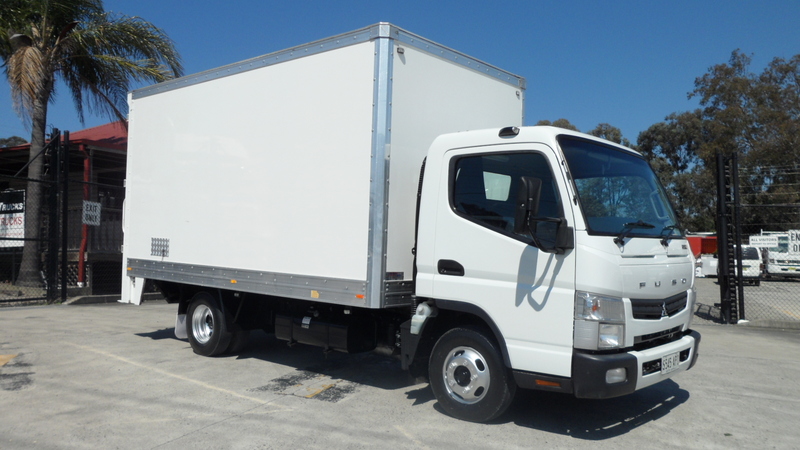 Hard working Fuso’s are in stock at SelecTrucks of Sydney! Late model Fuso Canter 515. Wide cab, turbo diesel, automatic transmission, low kilometres, ABS brakes, air/con, rear barn doors, plywood floor and 500kg tuck away tailgate loader. Only car licence required. Lots of fresh stock in the yard!